It turns out that learning an instrument is a very serious business.... Sometimes. Many thanks to Jack Renner for this gallery of images from our Trinity Church concert! Coming soon - the first community barndance of the season! The happiest of chaos - hard as it is to believe, the FIFTH paper orchestra began its journey last week! This event never fails to be fun-filled mayhem and this year had the added excitement of building cardboard cellos for the first time. As always, it proved to be a fantastic opportunity for the moms, dads and siblings to get in on the action as the newest crop of young musicians begin their journey! You can never have enough masking tape! The painting station is definitely a big favorite! Making paper instruments... and making memories together! It's gonna be a big year! An exciting start to our fifth season at the start of this month! The first movement of Schubert's String Quintet in C Major was our musical curtain raiser and gave us a wonderful opportunity to welcome the Newport String Project's new cellist-in-residence Jaime Feldman. We were thrilled to be joined by longtime NSP favorites Jesse Holstein and Heath Marlow for a performance of Beethoven's epic String Quartet in c sharp minor op. 131. The concert was the culmination of another rehearsal retreat at the incredible Avaloch Farm Music Institute, where we ate so much delicious food, met inspiring musical colleagues from all over the country and savored the opportunity to dive deeply into the incredible universe of op. 131! Meet our new Associate Musicians - Ashley & Jaime! "My name is Ashley and I hail from Miami, Fl. It was there (aided by my Jamaican heritage) that I developed a dependency on the sun and mangoes. When I was 10 years old, my music teacher at school needed an excuse to get students to play a big, but really beautiful, instrument none of us had heard of. He told me, because I was a tall girl (but definitely not the tallest), that this was the instrument for me. And thus, my relationship with the viola began. When not attempting to gently coexist and create with my large musical companion, I'm hopefully spending quality time with miniature humans. It is an absolute joy getting to help them comfortably and happily coexist with their music-making partners (wooden and human). Sans music, I'm hopefully eating something really tasty, that preferably came from a tree or a bush. 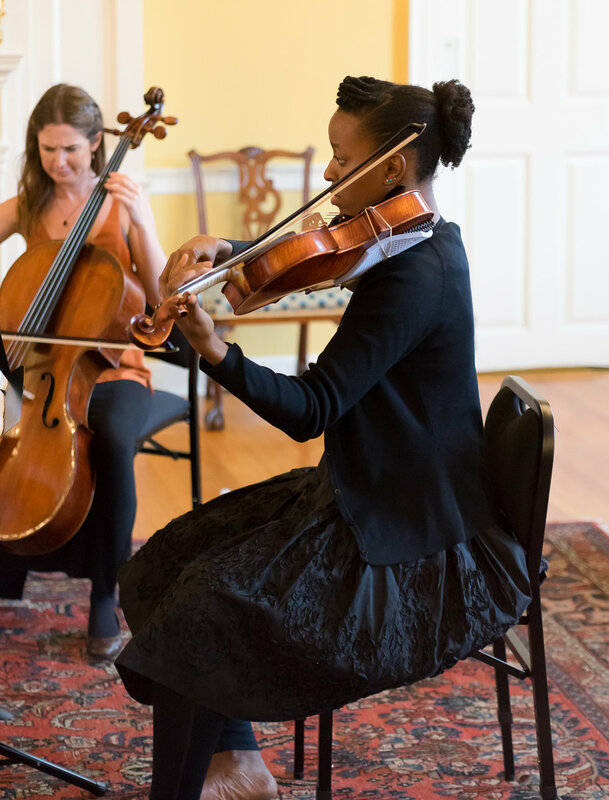 I'm so excited to join the amazing humans of the Newport String Project this year, and equally excited to get acquainted with Aquidneck Island. I always thought that Florida aspired to be an island, but got separation anxiety." "My name is Jaime, I am thrilled to be joining the Newport String Project this year as the cellist in residence. After attending a live chamber music performance at the Kneisel Hall Music Festival in Brooklin, ME., I was determined to play the cello. 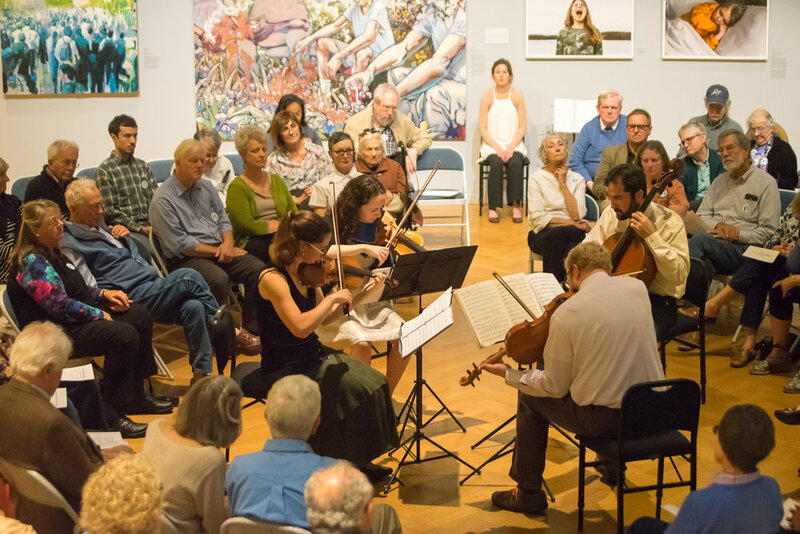 I later fell in love with chamber music as a twelve year old student at Music@Menlo festival in Palo Alto CA, captivated by a performance of the Emerson String quartet. I love playing chamber music with others, and am passionate about mentoring and teaching young children. I believe learning to collaborate is fundamental to our society, which starts with children’s education. 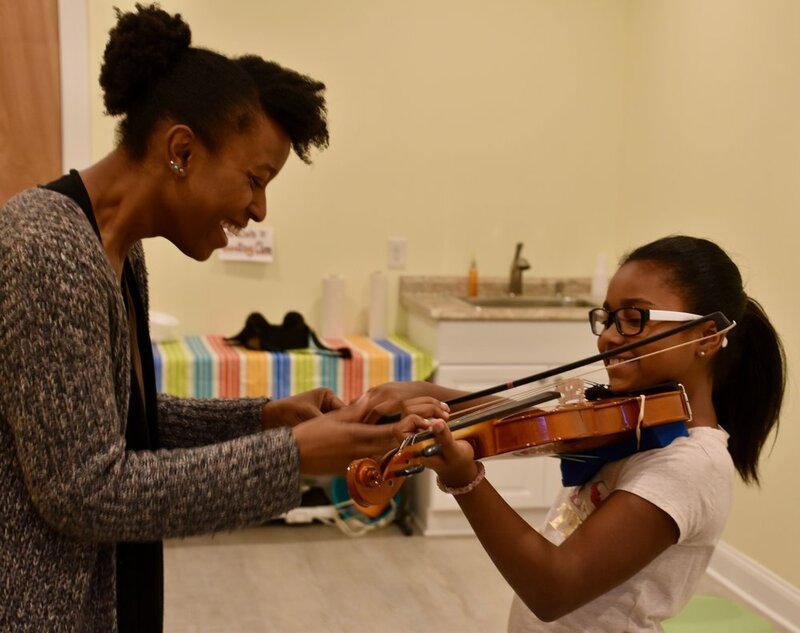 Teaching children how to listen, have fun, and work together in a music ensemble gives them important life-long skills, and is the key to a strong and supportive community. This fall of 2017, I am excited to be launching Newport String Project’s first pre-k program, an introduction to music making for ages three-five. I’m forward to performing for diverse audiences, and continuing to connect with and bring music to the various communities in Newport. In my free time, I enjoy running on trails, summer-time hiking in the Maine woods, picking wild flowers, trying new cheeses, conversing with every new cat or dog I meet, and traveling to new places." Over the past four years, the Newport String Project has grown into something very special. 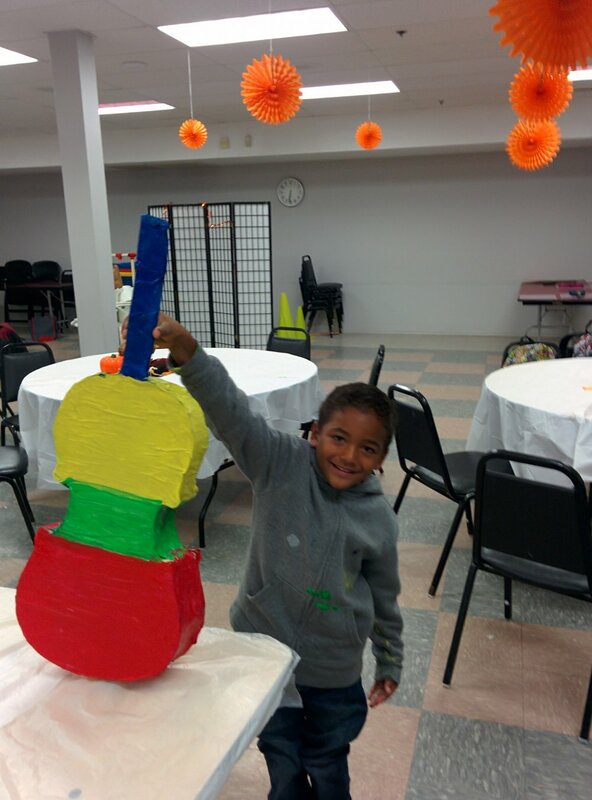 It is more than a concert series, and more than an after-school program. 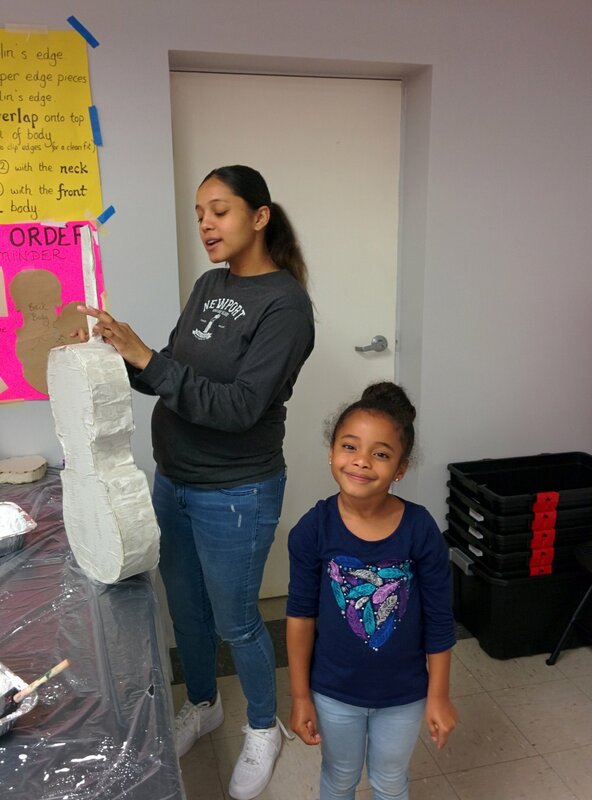 Our work does not fall into one category or the other – it embraces both performance and education, and in the intersection, it creates fertile ground for meaningful community engagement. When we launched the Newport String Project four years ago, our goal was to establish a resident string quartet by our fifth year. That milestone is fast approaching and we are more committed than ever to making this idea a reality. String quartets model collaboration through a nuanced four-way process of expressing ideas, listening, and adjusting to each other. In today’s divisive social and political climate, these processes are more needed than ever. 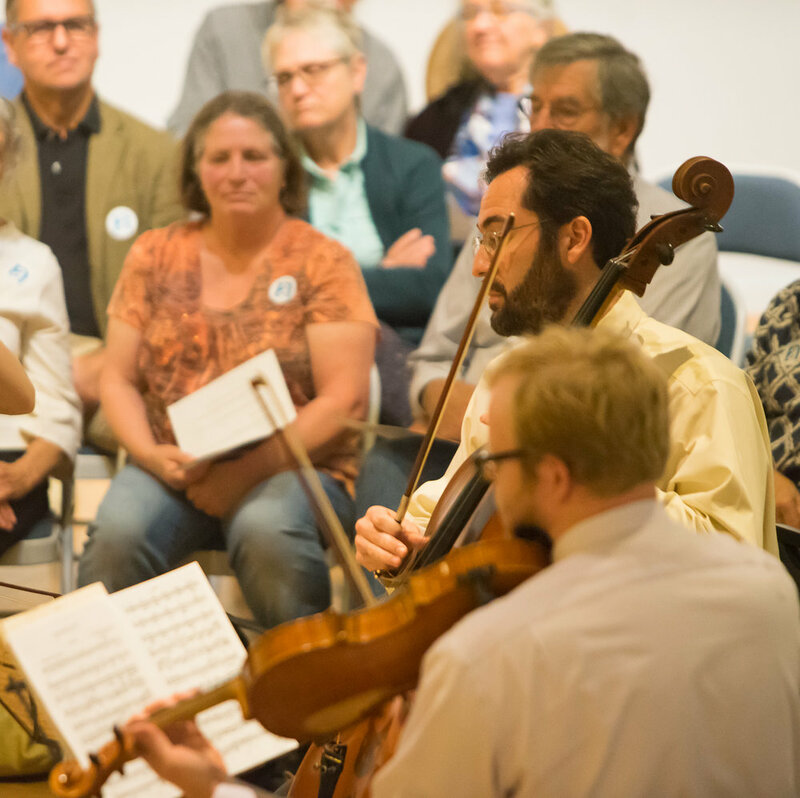 A string quartet provides a powerful model for exploring how neighbors interact and how they can create change in a community. We are prepared to seek out and recruit two highly qualified professional musicians—a violist and a cellist—to join us in Newport. Each week, they will perform, rehearse, teach, and mentor alongside us. Now we need your financial support to make this possible. Our community’s support has been integral to the success of our first four years, and it is essential for driving our work forward to its next phase. While we prepare to launch our fifth year in September, we need to meet our goal of raising at least $10,000 by June 30. Raising this amount will allow us to take the steps necessary to establish a resident string quartet in Newport. Every gift – whether $5 or $5,000 – will help us get there. For details on how to make a gift, click here. We are grateful for all of the encouragement that we have received to date, and we couldn’t be more excited as we enter this next stage of growth. Thank you for your generous support of our important mission. Many thanks to Barbara Renner for these images! Our thanks to Jody Brown for these terrific images! A lecture-recital collaboration with the Newport Historical Society, exploring the impact of the Germania Musical Society on the cultural landscape of Newport in the 19th century. The courtroom of Colony House made for a dramatic setting for the concert which music composed and championed by the Germania Musical Society. The weather provided some unexpected drama to the performance of Mendelssohn's String quartet in f minor op 80 with some beautifully timed - all planned of course! A pop-up performance by the quartet at the Aquidneck Growers' Market featuring music by Mozart, the Beatles, Gershwin and many others... The grown-up musicians were delighted to be joined by our students for a special set of fiddle tunes. The students played with confidence and style for a packed house at the farmer's market. Good news for barndance fans! 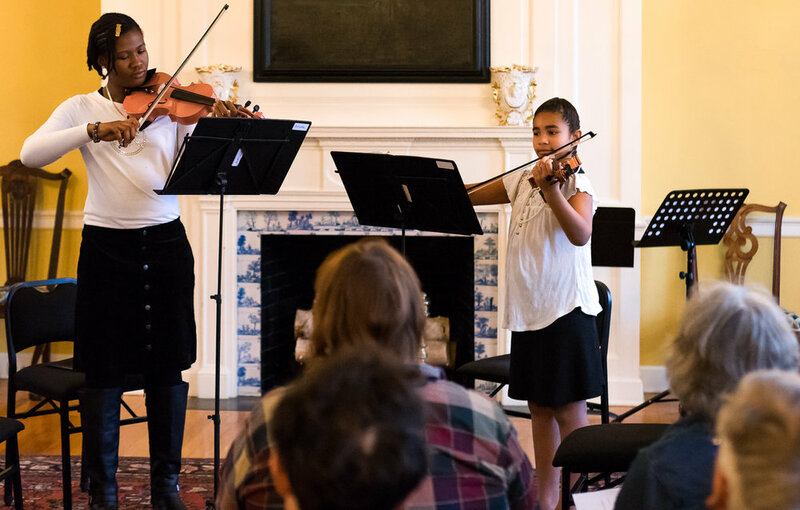 Every season the Newport String Project presents two community barndances in partnership with lots of fantastic local organizations including Common Fence Music, Emmanuel Church and the Boys and Girls Club! Check out this great piece by Laura Damon of the Newport Daily News about our recent string quartet residency HERE. Thanks also to Dave Hansen for his photography! For our first concert at The Firehouse Theater, we chose to bring a program of 20th and 21st century works for strings and percussion. This special collaboration, with guest musicians Zan Berry (cello) and Piero Guimaraes (marimba and vibraphone), featured works by Golijov, Piazzolla, Shostakovich and the American premiere of Sones de America by Cuban-Spanish composer Igmar Alderete. Many thanks to Morgan Macia for these images. Bookfair at Barnes and Noble... and help us create a classroom library! We are thrilled to share news of our upcoming bookfair at Barnes and Noble in Middletown this Sunday February 12th from 10am-7pm! Participating couldn't be easier - when you are ready to checkout, simply mention that you would like to support the bookfair and a percentage of your purchase will go towards supporting the Newport String Project! 10.30am Check out performances by students from the Newport String Project, including a special appearance by this year's Paper Orchestra! You can help us create a classroom library for our students by purchasing and donating a book for our shelf at the MLK! Check out our wishlist of children's books inspired by music and social justice HERE. Books can be given to us in-person at Barnes and Noble on February 12th, or shipped to our mailing address at the bottom of this email, or dropped off at the MLK Center. A dramatic backdrop at Ochre Court for some seriously dramatic chamber music by Mendelssohn, Maconchy and Dvorak. Heartfelt thanks again to our fabulous collaborators - Kate, Ashley, Colin, Zan and Megan! Thanks to Morgan Macia for his terrific pictures of the occasion! 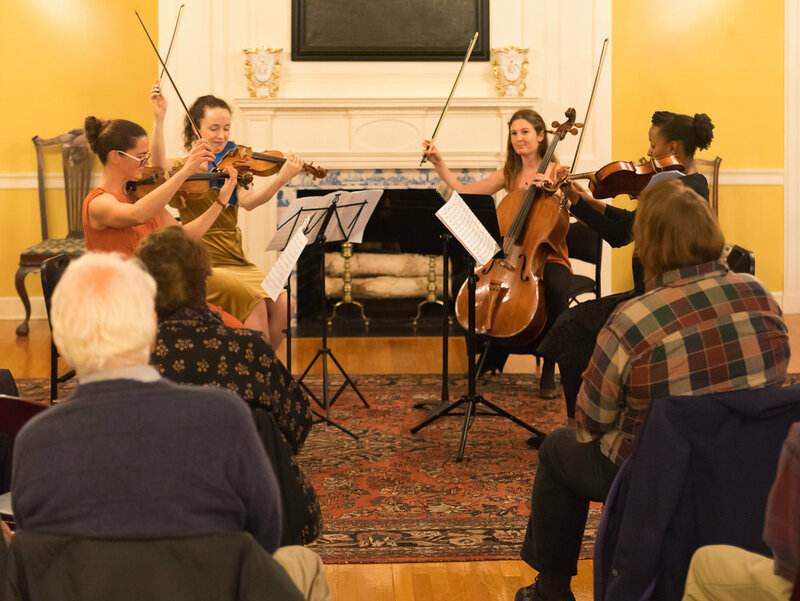 On Sunday January 29th 2017, the Newport String Project will present perennial favorite Mendelssohn’s Octet for Strings in the vibrant setting of Ochre Court at Salve Regina University. 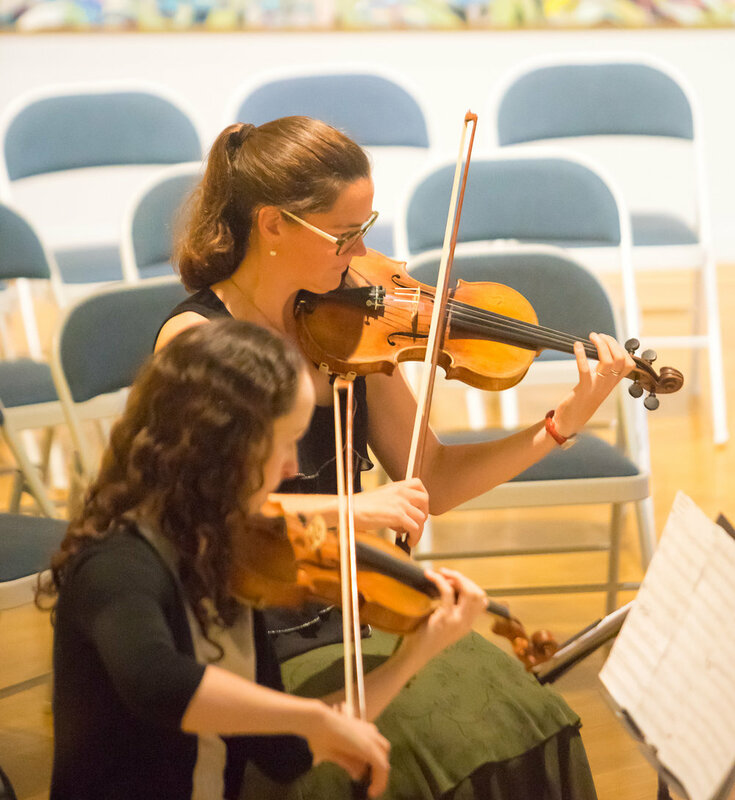 The concert brings together a dynamic group of musicians working at the leading edge of socially engaged chamber music in Rhode Island and beyond. The program also features Antonin Dvorak’s folk-tinged Miniatures for Two Violins and Viola and Elizabeth Maconchy’s atmospheric String Quartet No 3. The concert is presented in partnership with Salve Regina University and begins at 3.00pm at Ochre Court.